I have now passed the milestone of 100 Family History Books written! To see some of the comments from my happy customers, read on! It was my Mam’s Birthday yesterday and I gave her the family tree. Just wanted to thank you as she absolutely loves it! She’s over the moon. She’s never put it down, been on the phone to her siblings talking about it all. Perfect present, so thank you! Once I get Christmas over with I will look into another line if you want to take that on? I couldn't put it down once starting to read and study the fantastic story you created from my Bool genealogy. The census forms and parish records were not clear enough for my failing eyesight, but, you seem somehow to have made sense from them and printed me the salient points. A great help. I will, if you are agreeable, want you to also move on to Jarrett and Tucker once Bennett is completed. Mum and Dad are thrilled with the Family Tree, they both think it's wonderful and are enjoying reading and nattering about it.... Many thanks again for all your hard work. Thank you so much for your hard work on this research! You have obviously spent a lot of time on this for me. If I get stuck again I will certainly be asking for help! Thanks again. Thanks again, I'll recommend you to friends!! The Family History was a fascinating read! Members of my family have taken it to read so I guess it will be some weeks before it’s returned for me to digest, I am so very pleased with your results. My Aunt has arrived from the States so she is going through the book. Thank you. I have a friend who is now interested in tracing her family tree... I will pass your details on. I've just managed to track down the concierge to get hold of your parcel. I wasn't expecting it to be so big! There is so much information in there - thank you so much for all your work. Going to take it to my Dad's this weekend. Grandparents are back in the UK on Wednesday and should be delighted to have so much information to read over. Sally Westwood helped me research an educational project for the publisher Boardworks. She investigated the history of my street, discovering who built my house back in Victorian times and how all the surrounding streets got their names. She brought my neighbourhood’s past to life, with vivid descriptions of the people who lived and worked there. Everything was backed up with impeccable factual research. 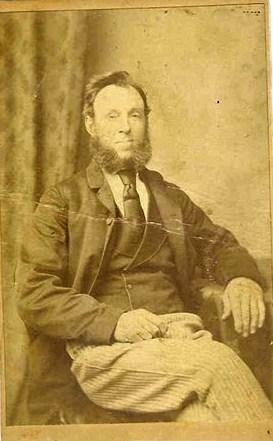 My 3 x great grandfather, John Huckle. You traced my father’s side of the family last year, the kids are still getting the folder out and are still looking at it now. Do you still offer your ancestry service? I am looking to trace my mother’s side of the family. Fantastic! We are over the moon with our Family Tree Book! My husband can't stop reading it.... I'd recommend you to anyone. We'll be back with some more Family History for you soon! Thank you sooooo much - a great piece of work. I was quite overwhelmed by it all and will take time to digest but it is not only informative but gives a real insight into the world all those years ago with your great narrative. We shall all enjoy it enormously. It is strange how many times we have driven past those Cornish mines. How times have changed. On a more personal note, it fills a huge void for me. Thanks Sally you're a star! Thank you so much for our family trees - they are fantastic! More than I ever thought! The info you got is so interesting ... I will get my husband to sort the basics of his family to forward to you. Thanks again! I confirm safe receipt of the parcel. Have had a quick skim through it and am fascinated! A lot of the family myths have been debunked - the French connection is a whole new world!! Thank you very much indeed for all your hard work. One word... Fantastic. I haven't read them in detail, but when I do, I know it will be one of the most inspiring and interesting reads of "my life". Really Pleased. I did not expect it to be so intensely professionally edited together and narrated upon. I am more than impressed. So far I have just taken a glimpse at it. I am waiting for a quiet time tonight to peruse at leisure. Thanks very much for all your hard work and efforts over the past months on my family tree. Karen and I had our heads in the books until one this morning!!!! The parcel arrived yesterday but as I was out it was left with my neighbour so just got my hands on it today. Just a quick note to say many thanks indeed. There is so much to read!! I’ve had to do it covertly this evening to avoid Tony noticing so I’ve only managed to skim read so far! Love the section on Jimmy Wood - all the adverts are fantastic!!! Can’t wait to give it to Tony next week! The whole family will love it I’m sure - thank you! After questions from younger members of the family I became interested in discovering our ancestors. A number of web sites offered only partial information, making it difficult and time consuming. Being accurate was most vital to me. So I engaged the help of Sally Westwood who created the most interesting and true documentation of our family tree. She kept me informed at every stage. I was also pleased with the extensive content and how affordable it was. Sally is a gifted historian and writer who has now chosen to share her talents by researching the histories and stories within families. The combination of being an excellent wordsmith and storyteller, and her precise approach to archive searches is the perfect match for her role as a genealogist and biographical writer. 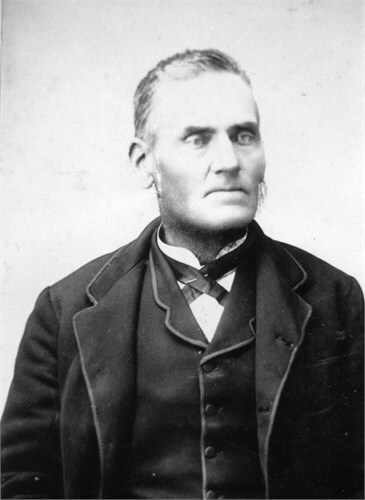 My 3x great grandfather, Thomas Waling.